We love hearts, kisses, and the colors pink, red, purple, and white! 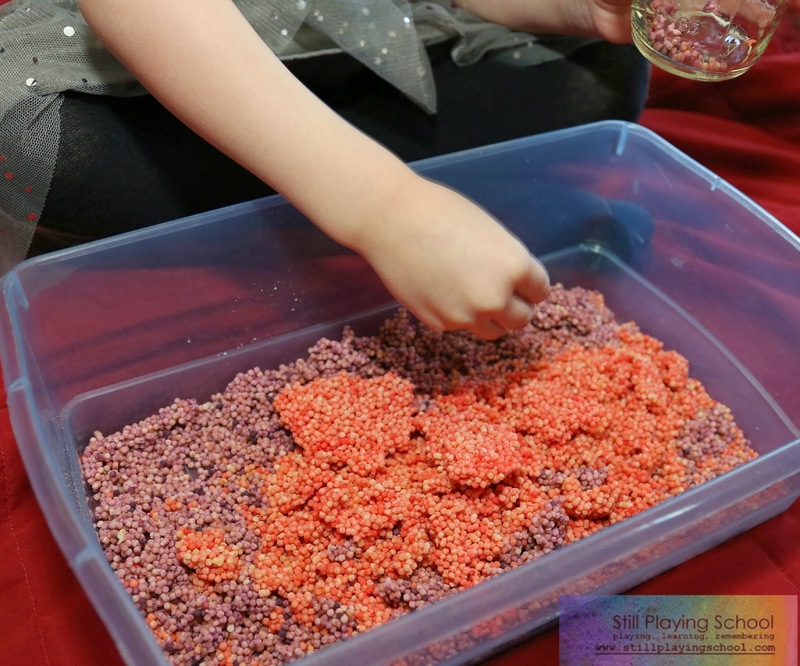 We make a Valentine's Day sensory bin each year but this year we used a filler that we've never played with before! When we put the pasta in the bin, it was still slightly clumped together from the drying process. 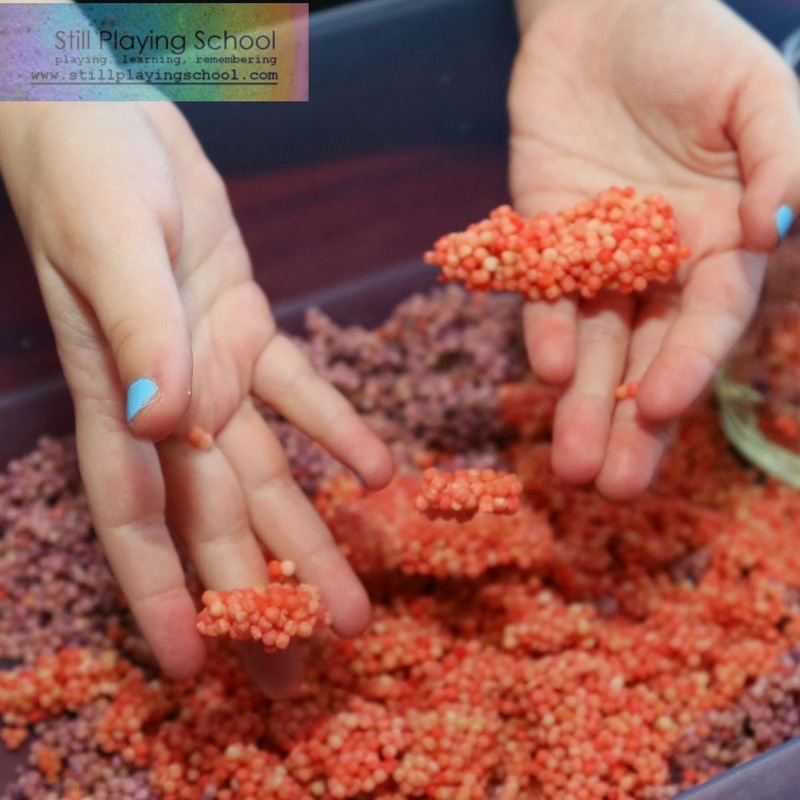 This made a super fun bonus fine motor skills experience as we broke apart the clumps. 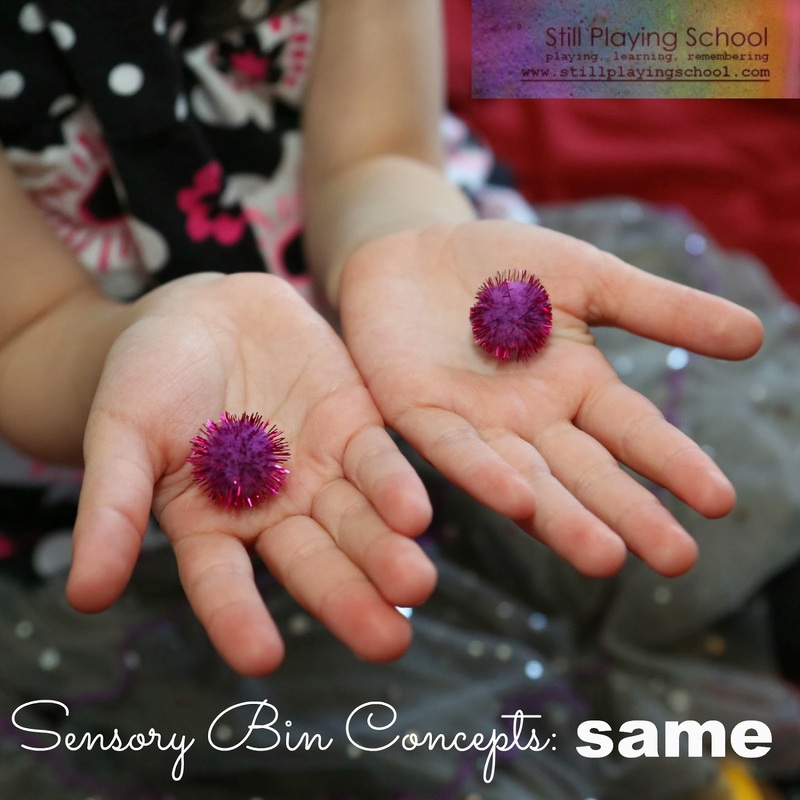 While D was playing the bin contained pasta and pompoms only. He took a close look before digging in. 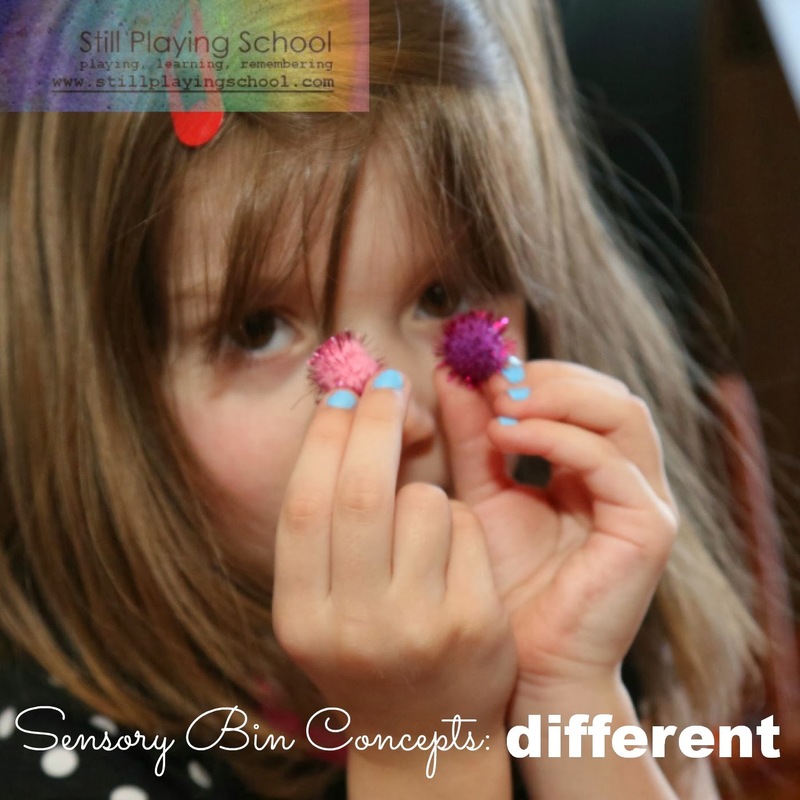 E compared pompoms exploring the concepts of same and different. D loved holding the pompoms and letting the pasta fall through his fingers. Sometimes he got it back in the bin, but mostly it fell on the blanket I put down to catch the mess. When we finished, I held the blanket up to pour the pasta right back in. 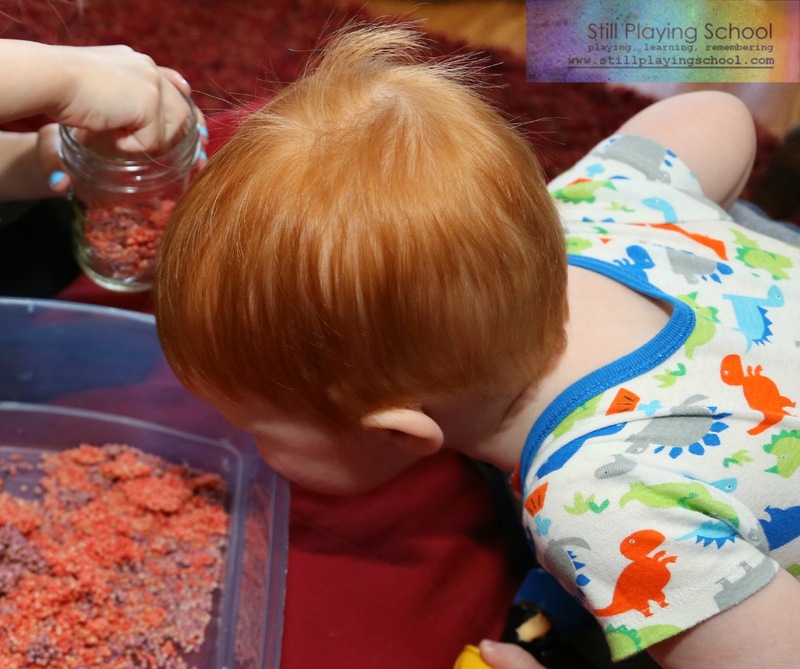 He was thrilled to be included in our sensory play. 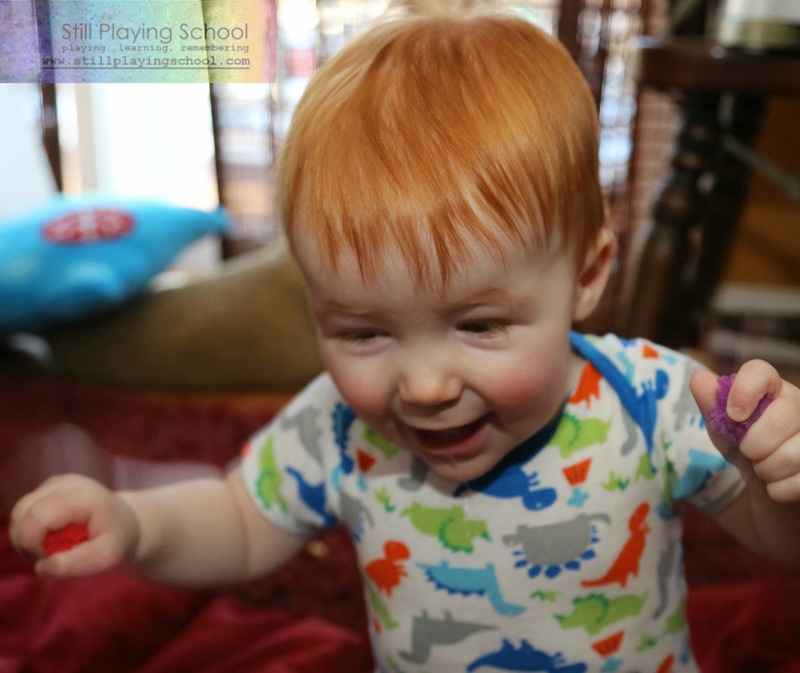 Seeing his reaction, I'm loving the challenge of thinking of ways to include him in what we do each day. 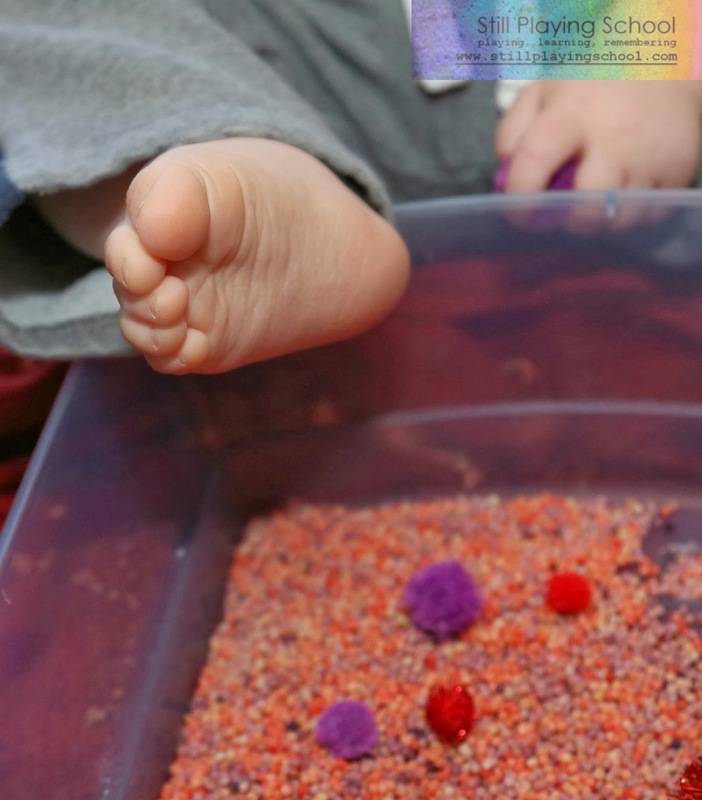 No toddler sensory exploration would be complete without adding feet! When D napped, E and I added heart containers, scoops and spoons, and Valentine's Day charms. We took turns secretly hiding an item in a heart container while the other person guessed what it might be. I loved listening to her reasoning as she put items in her own container to shake and compare sounds. "Too soft," she'd decide and guess again. 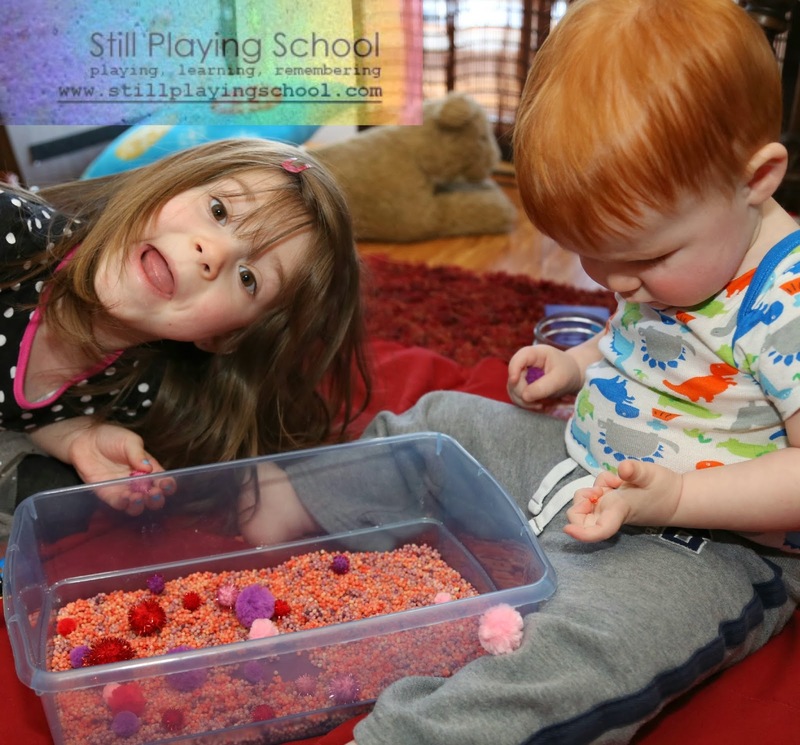 Our dyed dried pasta sensory bin was a hit with the whole family! 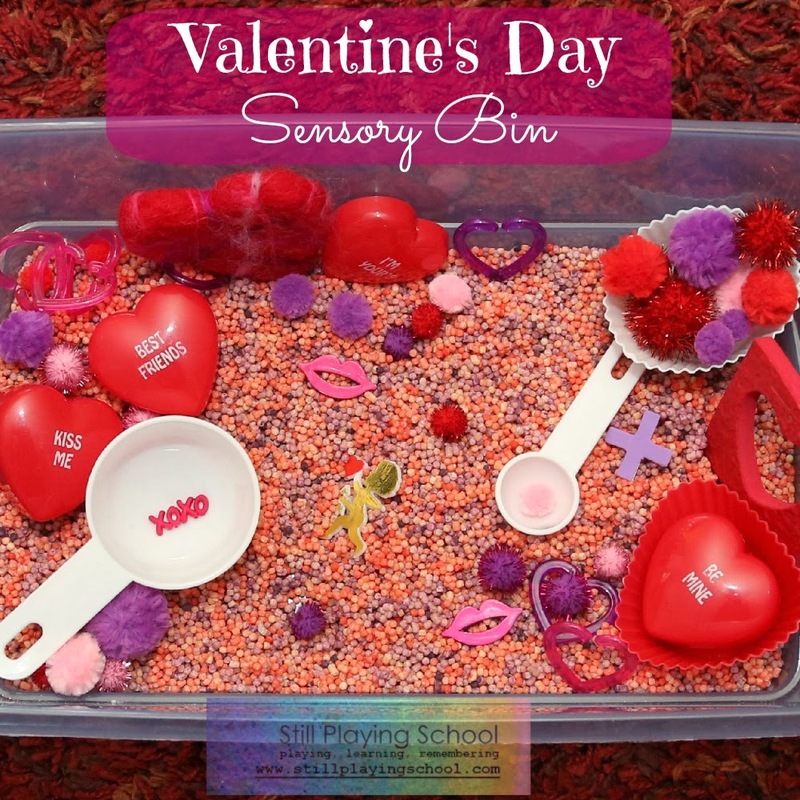 Have you made a sensory bin for Valentine's Day?